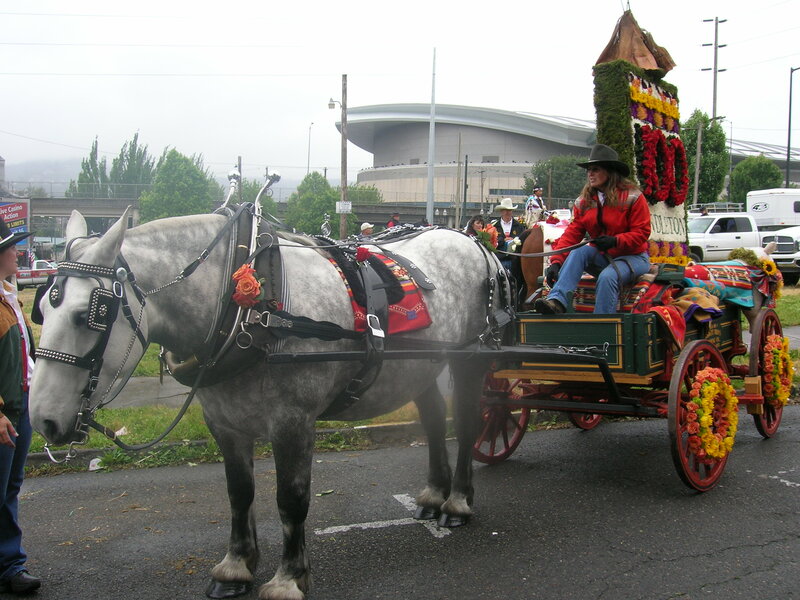 If you know anything about Portland’s Rose Festival, you know that Portlanders love our Grand Floral Parade. We love it enough that year after year, we stand (and sit and camp overnight, but that is a different story) on our city’s curbs to watch it, no matter the weather. Covered in slickers and trash bags, umbrellas and newspapers over our heads, we watch the well-watered floats go by. But not this year! We had gorgeous (and long) days throughout the festival, especially the day of the big parade. 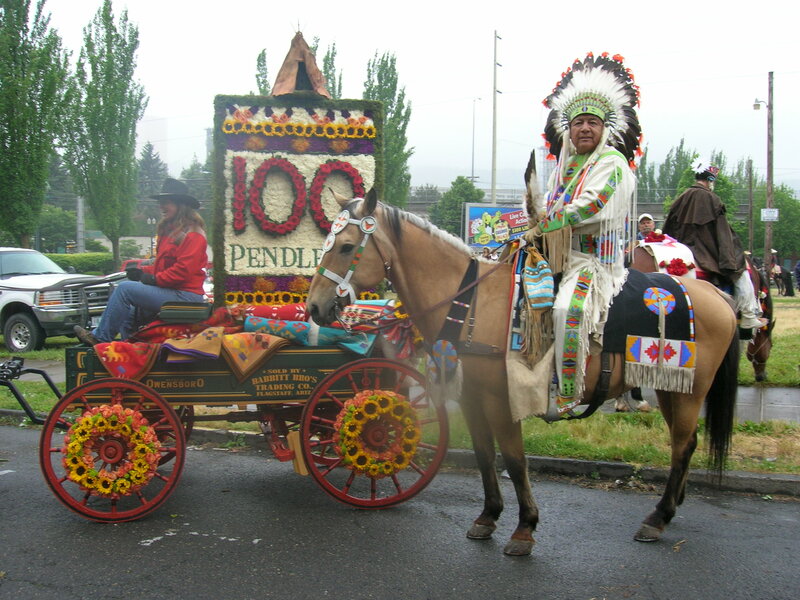 Which reminded everyone around here of our last entry in Grand Floral Parade. 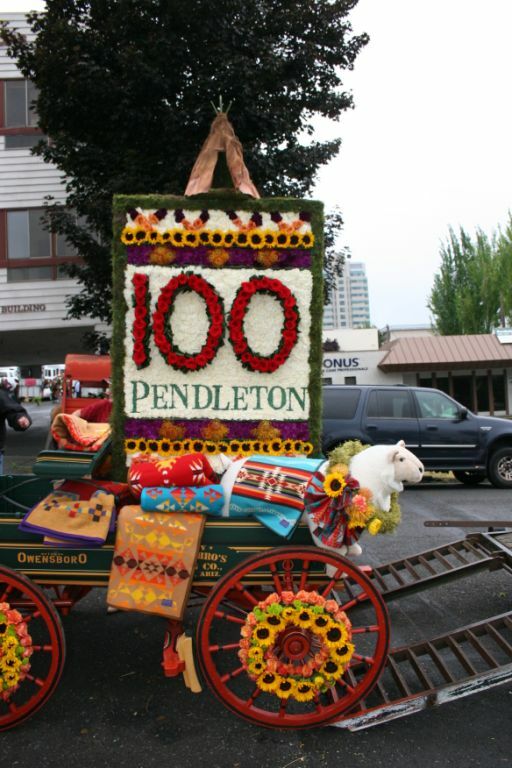 Yes, that was our entry, decorated by Pendleton volunteers. We were delighted that it won a blue ribbon, but we shouldn’t have been surprised. It isn’t just any wagon; it’s a Babbitt Brothers wagon. 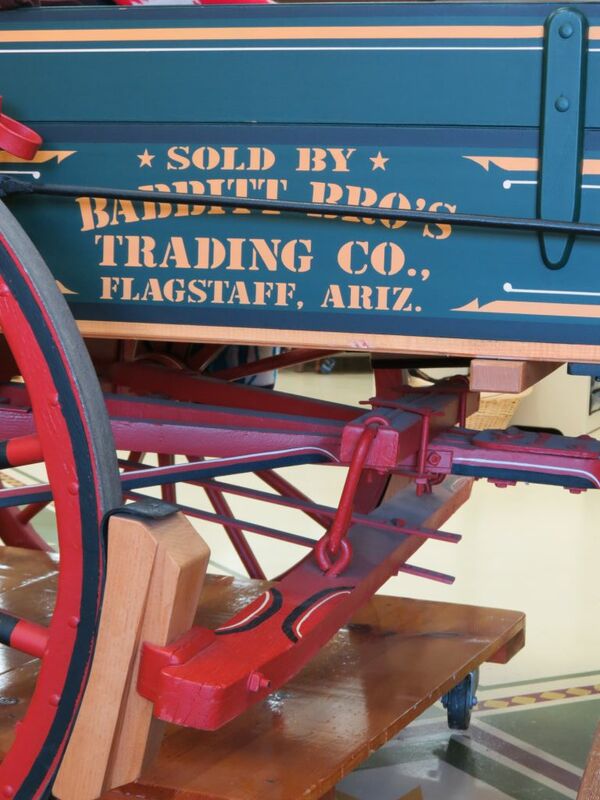 This is one of the original wagons used by the Babbitt brothers, five shopkeepers who came west in 1886 to make their mark. 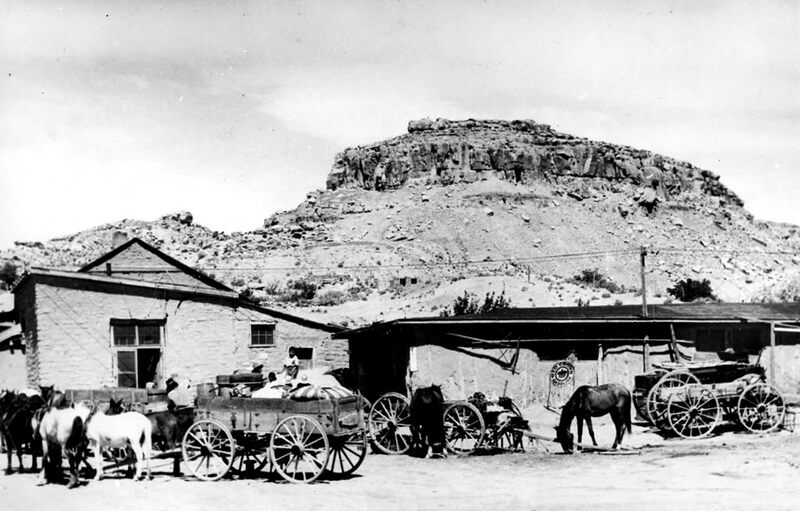 They founded the C O Bar cattle ranch, as well as opening a mercantile in Flagstaff. In time, their success with commerce outpaced their success with cattle. 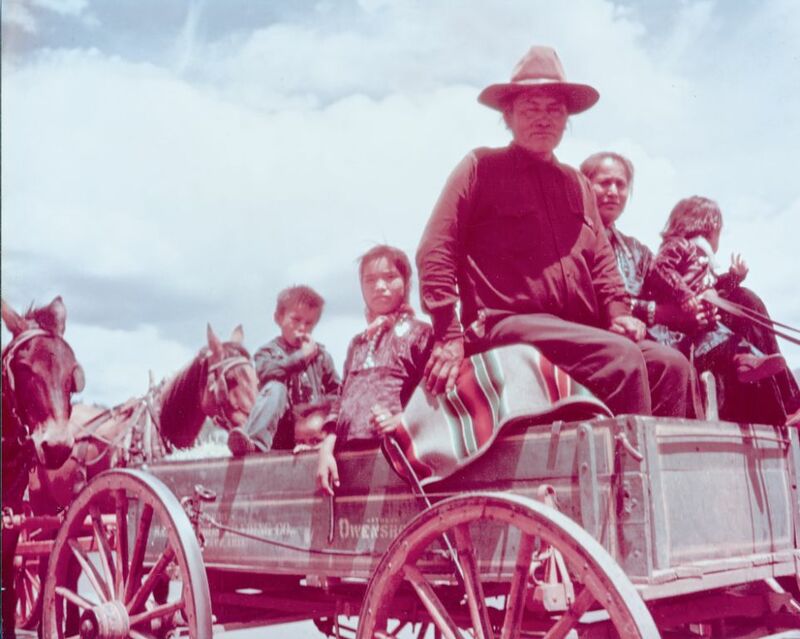 Over the next 100 years, the Babbitts owned and operated over twenty trading posts, doing business with the Navajo, Hopi and Apache tribes. Babbitt’s is still active and thriving (and working with Pendleton). Thanks to the generosity of the Babbitt family, this historic wagon was used quite a bit when we celebrated the 100 year anniversary of the opening of Pendleton Woolen Mill in Pendleton. 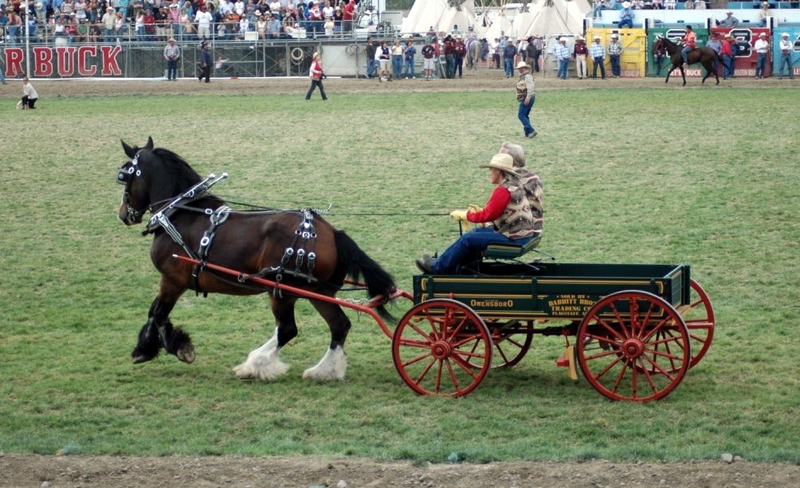 It made a visit to the Pendleton Round-Up. 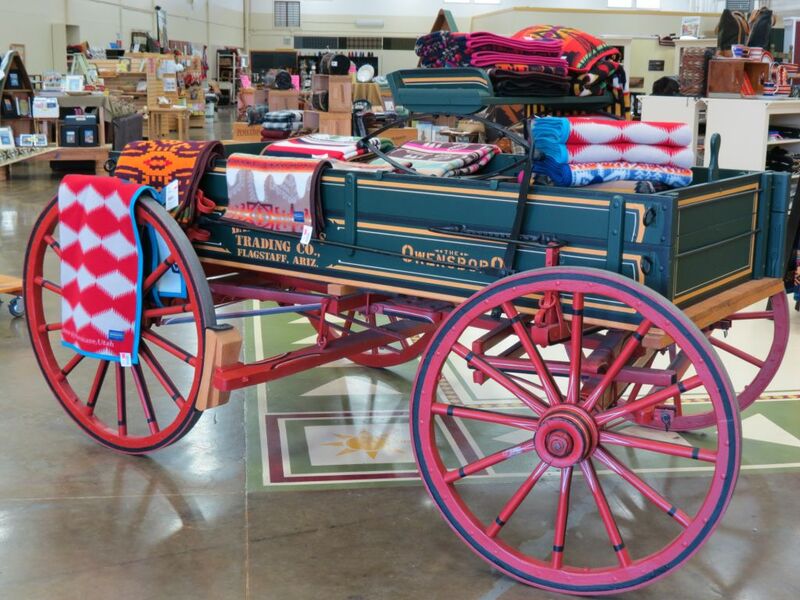 And the blue-ribbon-winning wagon (plain, of course, it hasn’t been bedecked in quite a while) is currently residing in the Pendleton Woolen Mill Store. Its rather grand history makes a nice backdrop for displays of our blankets. We will be transporting it back to the Babbitts eventually, but until we do, please feel free to stop by and see it. 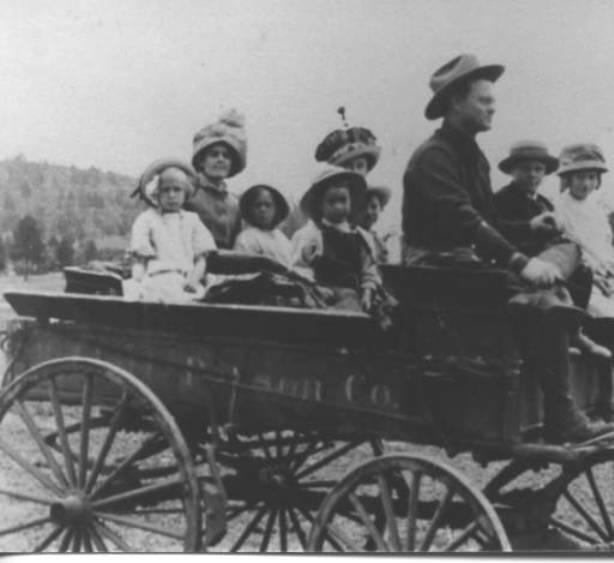 This wagons has made so many trips, it is truly part of the history of the West.